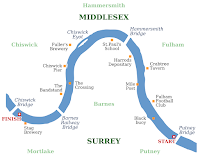 The Boat Race (also known as the “The Cancer Research UK Boat Race”) is a contest dating back as far as 1829 in which the two boat clubs from the University of Oxford and the University of Cambridge face each other off in a rowing race set on the River Thames, West London. The race was created by two friends and students, Charles Merrivale from Cambridge University and Charles Wordsworth from Oxford University, who were boating partners. In 1829, the Cambridge University Boat Club (CUBC) sent a letter in which they challenged the University of Oxford to a rowing race at Henley-on-Thames, which resulted in a win for Oxford. Multiple contests were held afterwards, but only on an irregular basis, and with variations in locations. The course was finally defined in 1845 and only became an annual event in 1856. 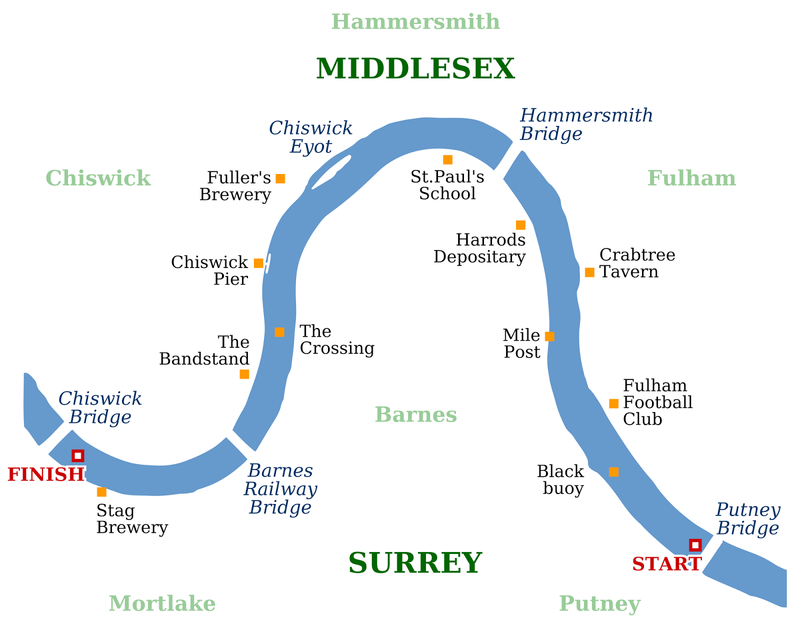 This course, also called ‘The Championship Course’, is a 6.8 km long S-shaped course from Putney to Mortlake. As a result of its shape and of climate factors, some turns are more advantageous than others depending on which side you are rowing on. A coin toss is therefore organized to establish who gets to choose the position their team will be on, the event taking place no matter what the meteorological conditions are, with known sinkings in the past. 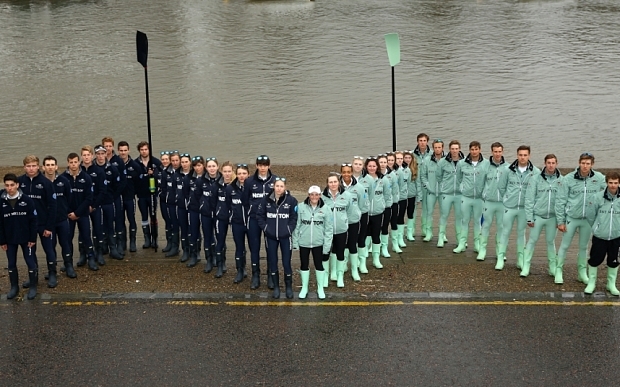 The two eight-man crew boats compete to win the “Boat Race Trophy” and are distinguished by colour: Oxford is represented in dark blue due to the fact that the majority of the original crew was from Christ Church College, sporting this colour. As for Cambridge, their colour was originally pink, before they exhibited their light blue at the second race in 1836. There are different categories of boat races derived from the original one carried out by the heavyweight men’s eights. A big distinction is made between men and women, who compete in separate instances. 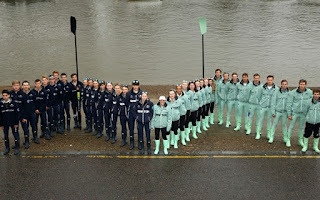 The Women’s Boat Race is the second most famous race, but there are also the Henley Boat Races, which consist of (with a team for each gender) the lightweight, lightweight’s reserve and intercollegiate divisions. They usually face one another about a week before the main race. 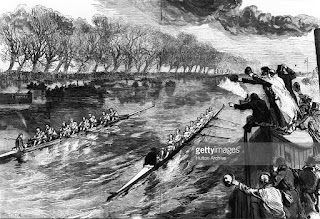 The race of 1877 is probably one of the most famous ones, as it is the only dead heat (a draw) in the history of the Boat Race. John Phelps, who was waterman and judge of the event, announced dead heat at the finish line; the two boats crossed the finish line so close to each other that he could not tell who had won. From this were born a lot controversies and stories about Phelps being biased. As a result, markers have been introduced to the competition, preventing any possibility of a ‘dead heat’ ever again. This race has become an English icon for many reasons. First of all, it is a very old tradition that has been passed on for generations. Lots of gestures have been repeated for centuries, like the coin toss to begin the race and the throwing of the cox to end it. Second of all, it is an opportunity for the two most famous and historic universities of England to face each other off in friendly competition other than on an intellectual level. And last but not least, this is an annual event which brings all the Londoners together, not to mention loads of tourists. The race is very popular, being a national event broadcasted by the BBC since 1927 and having as many as (an estimated) 100 million world-wide viewers. Since the race always takes place around Easter, many people take advantage of their break to go see the race. 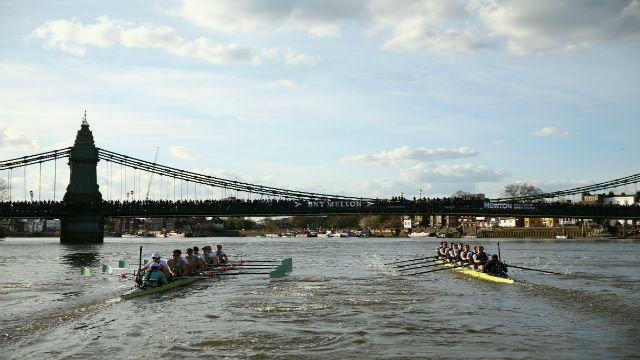 The exciting atmosphere of the race attracts crowds of people each year, who all converge around the river banks lined with restaurants and pubs to watch this unique boat race that has become legendary over the years.